A 12-foot great white shark is hanging out near Myrtle Beach, South Carolina—and it doesn’t seem like he has plans to leave anytime soon. The 12-foot long, 1,300-pound great white shark is named “Hilton” and researchers at OCEARCH have been following his movements via a GPS tag. But, before you start panicking, the great white isn’t out to ruin your spring break. In fact, researchers hope that by following his movements, beach-goers will become educated—and maybe even excited—about ocean wildlife. 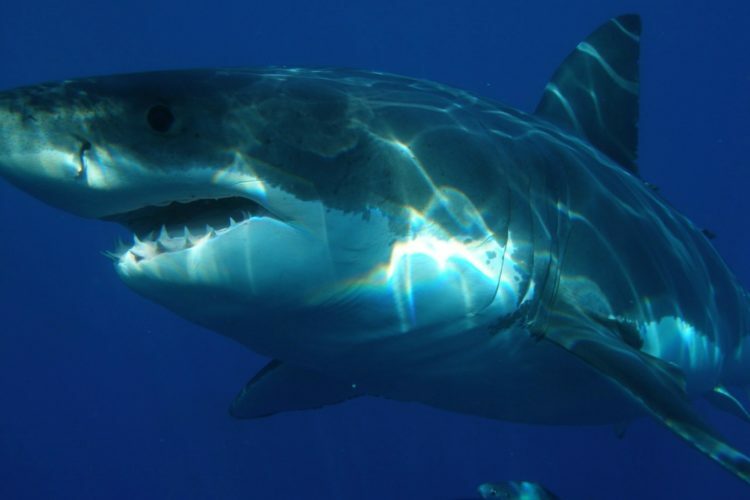 OCEARCH allows the public to follow nearly 200 sharks with their awesome online portal. You can track the movements of these incredible creatures using real-time data through OCEARCH’s Global Shark Tracker. The researchers also use the tracker to learn more about sharks’ diets, migration and breeding. These tech-savvy sharks even have their own Twitter pages! And these squiggly lines below show the tracks of several different sharks in Lowcountry (a region along South Carolina’s coast). Look at them go! We know it’s tempting to scream in horror when you think about a bunch of sharks swimming around in the same water you’re wading into, but here’s the thing: Your chances of being attacked by a shark are extremely low. In fact, you are more likely to be killed a by a dog, a deer or even an ANT than a shark. RuPaul Just Revealed That He And His Boyfriend Of 23 Years Got Married!